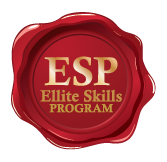 The Elite Skills I Program (ESP I) is designed for the experienced junior golfer. This invitation-only program is open to standout players who are interested in taking their game to a more competitive level. Participants in ESP I are junior golfers who have a desire to play at a high level and are dedicated to improvement. These golfers are well on their way toward understanding their abilities and what it takes to achieve their individual goals. Students will gain the knowledge and ability to practice efficiently and effectively evaluate their experiences in order to maximize their time and effort. Think your junior golfer belongs in the Elite Skills Program? 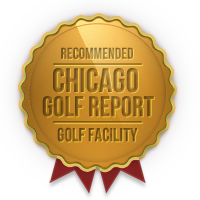 To schedule a free evaluation, contact us at info@thegolfpractice.com. Productive practice techniques. Students will learn how to plan practice sessions in order to achieve specific goals and how to effectively utilize training tools and resources to accurately measure progress and success. Greater understanding of their emotions and mental strength. Students will be taught strategies for accepting and embracing the difficulties and frustrations that often accompany learning. Ball-flight comprehension. Students will learn the importance of shaping golf shots and how to create shots with varied shapes and trajectories. Advanced swing analysis. Instructors will work with students to develop individual swing projects that are customized to the student’s biomechanics, and students will learn how to effectively practice these new movement patterns and understand their progression. receive a complimentary and personalized golf bag as a recognition of their dedication. Each golf bag will include a customized logo and the player’s name.